2017-2018: £155.05 per week for people assessed after 1st October 2007. Rate per week from 1st April 2018: £158.16. Higher rate 2017-2018: £213.32 per week interim rate for people assesed prior to 1st October 2007 and who had been receiving the high rate FNC band at that time. (Prior to Oct ’07 there were three bands, but now there’s just one.) Rate per week from 1st April 2018: £217.59. My mother is in a nursing care home. Has been in this particular one from 23rd November 2018. At end of December I asked if it was possible that she have CHC assessment. She is 88 years old, deteriorating with old age and dementia and is self funding. The manager said she would ask the charge nurse to send of a checklist for the assessment, which he duly showed me and did on 2nd January 2019. A meeting was arranged for two weeks later of which I was invited to attend with the charge nurse, assessing nurse and social worker. It was decided that my Mum did not qualify for Continuing Health Care at this stage, but did qualify for Funded Nursing Care (FNC). A letter was sent to my Mum at the Care Home which was shown to me – explaining that the weekly FNC of £158.16 would be paid directly to the Care Home from the NHS Local Authority on behalf of the Clinical Commissioning Group. I understood that this would be deducted from the weekly fees my Mum pays, but have been told by the administrator and manager that this is not the case – this is totally separate, and the manager said that the fees would be higher to pay if this not the case. As this funding came into effect from 2nd January, the letter advising dated 5th February, why then were the fees not higher in the first place when the first invoice was submitted, or at least from 23rd November – Mums admission date up until 2nd January. I think the care homes – being a money-making business now, take whatever they can if they can get away with it. And if people are paying their own fees privately, they obtain more money, so effectively fleece old and vulnerable people and their families indirectly. I would welcome any feed back on this. get any worse plus the quality of care seems to be going down hill . My Mother was diagnosed with Alzheimers in 2016. Initially, she lived at home with support of carers but, had to go into a dementia care, care home permanently in October 2017 (Her care home costs are self funded, as we sold her house around the time we moved her to the care home). Throughout, we have had great difficulty understanding what benefits she was entitled to and her Local Authority has been far from helpful. We did manage to get her the minimum attendance allowance (£55 pw)and are wondering whether we should apply for the high amount (£85 pw). However, we have just read about the NHS Registered Nursing Care Contribution and wondered whether she would be entitled to claim this amount £156 pw). Any help would be appreciated. My wife and I are executors to my wife’s late cousin, who suffered a dense stroke in March 2012. She was admitted to hospital and prior to her discharge was assessed per the Checklist for NHS Continuing Healthcare (CHC) but was deemed ineligible. She was assessed by Social Services who recommended she be admitted to a higher rate residential placement as she was unable to care for herself as she lived alone. At no stage was she assessed for NHS Funded Nursing Care (FNC). The deceased was self funding. She was partially paralysed and had other health issues. My wife and I arranged for her admittance to a registered Nursing Home on 1st May 2012, where she remained, her health deteriorating until her death in March 2013. My wife and I have been pursuing a retrospective claim for NHS CHC since. The matter has been referred to the Ombudsman twice due to delays by the local CCG. We finally managed to have a full retrospective review of NHS CHC involving a Needs Portrayal Document and Decision Support Tool. Throughout the process we have stressed that in the event of the deceased not being eligible for NHS CHC then she should have a retrospective review of FNC. The Nursing Home admitted she would have qualified. We have now been advised by the local CCG that the deceased did not qualify for NHS CHC (although her scores were significantly higher than hitherto). The CCG claim it cannot conduct a retrospective review of NHS FNC quoting the policies contained in the National Framework. However, paragraph 34 of that document provides space for the Multidisciplinary team/CCG to comment on this aspect. The deceased was denied the right of an assessment for FNC. May I please seek your views on this matter? Thank you. My aunt has been turned down for NHS Continuing Healthcare, but letter says she would be eligible to get Funded Nursing Care. Will I need to apply for this or will she get it automatically? We are paying my mothers care home fees privately (the amount from day one was accommodation AND nursing) and since she has been awarded Funded Nursing Care, the care home has refused to reduce the weekly rate; the level of nursing required has not changed from day one. The local CCG cannot/will not get involved with the care home, because we are paying ‘privately’; all agencies seem to be of the opinion this should be deducted, CareWatch, the CCG, Care Quality Commission (CQC), AgeUK. We have instructed a solicitor who specialises in Care Home issues, however the care home owner has not replied after 3 months. She is paying the correct local rate (over £850) weekly as before. The home is also in Special measures now and we are moving her urgently, but do we have, or is there any recourse to this company, and more over similar homes are suggesting that this is tantamount to Finiancial abuse which seems quite worrying! Is there no overriding body to stop this? For info the CQC and the CCG have taken specific details, but how can this be always be answered that as you are self funders we cannot get involved? It seems worrying that the owner seems to be able to do this. We have advised a solicitor, and thus will be moving her as the trust is completely broken, but could you recommend any recourse or further help? Nick – I have had exactly the same experience and no matter which way I turn there seems to be no help available. Self funded care home residents are on their own and sometimes charged more than state funded residents. If you have any luck with your solicitor please post here – it will give us hope! Are you saying that if a person is receiving Nursing care in a Dementia care home ,you are still eligible for Attendance Allowance? Julie my mother receives Funded Nursing Care (FNC) .l have looked on her contract and it’s does not mention if the county council nursing home includes the FNC or deducts it, would there be a possibility of reclaiming the Funds for the FNC if not mentioned on the contract. Many thanks . I’m really confused about all the aspects of assessment and funding and how they should be applied to my father. Thank god for this website!!! My dad had a stroke and lost his mobility on the left side, he does seem to be making slow and steady progress though when he gets physio, which was few and far in between sessions at the hospital. Anyhow he was discharged into a care home a couple of days ago and I was talking to the administrator of the home today who was very helpful and told me that he had been assessed by the local authority and that he, under Funded Nursing Care, was being charged £136.60 per week, that he has to pay this weekly and this can last up to 8 weeks when it will be reviewed and if he’s likely to be permanent a residential a full assessment of assets would be required. I’m so confused because everything I have seen says that he should’ve been assessed for Continuing Healthcare and that I should be kept in the loop, I don’t know where this £136 fee has come from and I’m worried there might be a big bill coming that I’m not aware of. I don’t really know why he has to pay anything, he’s immobile because of the stroke and has been deemed a risk to go home, it really feels like we’ve no say in whats happening. He’s not aware of being assessed for anything, but he does recall being asked by several people if he owns his own home and I, his daughter being the only next of kin, know nothing about any of it. What can I do to put my mind at ease that he’s been assessed properly and fairly? Thanks for your kind feedback on the website, Lori. Hello i am in the same position about Funded Nursing Care. The care home have not reduced this funding off the fee for the room. We did not realise they were paying this money until recently and the paperwork came to light when my mother in law passed away. We asked to see the contract and was presented with a contract which had not been signed by anyone. I was a counter signature on my mother in law’s account and when the home presented me with there bill i payed it. Surely any funding is paid towards the individual not a gift to the care home. Hi my father is currently in a care home and he has a state pension and private pension which comes to nearly £800 per month, so the care home takes all this to apparently pay it all towards his care, (is this right?) also he is meant to get a weekly allowance but he never has! also after having his assessments done in hospital they think he needs nursing care now, so does he still have to pay for this? Also while being in care he has become an ampute of his leg, does he get any kind of disability allowance? My mother is self-funding her care in a nursing home. She has Alzheimers and was admitted to the home with a high level of nursing needs that are now being well managed and have reduced. Funded Nursing Care (FNC) was not applied for until over a year after her admission. At the time of her admission we signed a contract that included payment for nursing care. She has now been awarded FNC but her fees have not been reduced, in fact they have increased. I am contesting this with the nursing home but need some clarification. My 96 year old mother-in-law was awarded FNC at £156.25 weekly but received a reduction of £112 as the care home says the increases in costs have meant they keep the remaining balance for themselves. 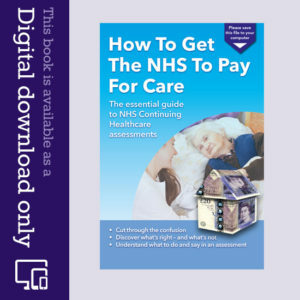 Gloria – the FNC payment goes directly to the care home, rather than to your mother-in-law, and depending on how your mother-in-law’s care home contract is written, it may or may not reduce her care fees. The actions of the care home do sound rather cynical in your case though. My mother has been awarded Funded Nursing Care (FNC); she was not eligible for Continuing Healthcare funding (CHC). On discharge from hospital we placed her in a care home that provided nursing care. She is self funding and the terms of the care home are that she pays for the care home and the nursing element of £112 per week goes straight to the home, no reduction in fees for mother. Whilst it seems sad that she gets no reduction for the nursing element that the NHS are paying, the fact is she isn’t even getting any particular benefit from being in a nursing home as opposed to a care home. She had pressure sores when first in hospital but these where healed before she was discharged, but after a week at the home the sores were back and appear to be getting worse. 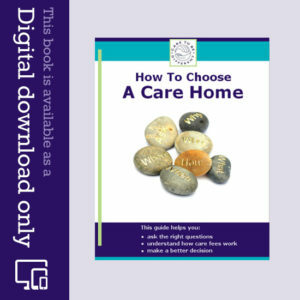 Can we move my mother to an ordinary care home, or indeed arrange 24 hour live in care at her own home? I appreciate that she would no doubt lose the FNC nursing funding but in actual fact it does nothing at all to help her – seems to me the NHS is wasting its money. The homes in our area that provide nursing care are very basic and I think she would be looked after better elsewhere. Can we just move her elsewhere, or even take her home with privately arranged care? I have read many of the articles on your excellent site, as my mother-in-law is about to be assessed for CHC. In relation to the legal precedents such as Coughlan, what I don’t quite get is how the distinction between CHC and FNC is drawn. Coughlan states that the NHS should fully fund a person’s care unless nursing services are incidental to the provision of accommodation; if that is the law, it appears almost all residents of care homes with nursing care onsite should be in receipt of CHC. Yet, as I saw commented on a different article, almost none are. My MIL was receiving a funded care package at home (4 visits daily) until January when she was admitted to hospital. She is now in a (nursing) care home on a temporary respite, expected to be made permanent. If she didn’t need the extra nursing, she would be back in her own house, so why should she have to pay for ‘accommodation’ that is only required because of her increased healthcare needs? I realise the CHC Checklist is used to make a decision on ‘eligibility’. I guess what I am asking is, can the NHS meet their legal responsibilities for funding care by providing FNC only? Thanks for your reply. While it’s good to have clarification that FNC is limited to primarily social care needs, I see your point that it can be (and no doubt is) used as a way of denying full NHS funding for care. Out of interest I have since asked one of the Clinical Managers at my MIL’s nursing home how many of the 98 residents there are receiving CHC funding. His answer was 4. From what I have seen there and read here, this is almost the exact opposite of what it should be! Best regards and keep up this great work! Thanks for you kind words, Andrew. The statistics you quote are a sad reflection of the situation in Continuing Healthcare. It’s hard to believe that only 4 people out of 98 (in a nursing home!) have sufficient nursing needs for Continuing Healthcare. FNC: in spite of us saying to the nursing home that the fees our friend for whom we have POA should reflect the fact that they are going to be in receipt of FNC for her nursing care, they still deny and say it is for them and cannot be deducted from our friend’s fees. They are adamant insaying that CQC told them they keep the money and don’t have to reduce our friend’s fees. We don’t know what to do. Please some help as our 98 year old friend has dementia and needs all the help she can get. DEMENTIA is after all a disease, but everybody seems to wash their hands. Funded Nursing Care. I understand that this can only be paid directly to a care home that provides nursing care. However, does a qualifying person have to be resident, or can this payment be used to fund or partly fund, day care respite in a nursing home? My Mother has already been assessed for CHC, but pending appeal, has only so far been awarded Funded Nursing Care. The specific question that I need answered, is can we use this weekly allowance/payment to ‘fund or partly fund (pro-rata the nursing proportion) day care respite in a nursing home’? The National Framework (NF) refers to periods of respite shorter than a week and prorate, but is not clear. The parts of NF you referred me to, does not seem to answer this? And I cannot get a clear and informed response from any of the agencies, charities or authorities.